Mrs. Annie Lee Swain, 84, passed away on Sunday, September 9, 2018 at Wynfield Park and Rehabilitation Center in Albany, Georgia. Funeral services will be held Wednesday, September 12, 2018 at 2:00 p.m. in Pleasant Hill Baptist Church at Rebecca, Georgia with the Rev. Royce Freeman and Rev. Eric Smith officiating. Interment to follow in Pleasant Hill Baptist Church Cemetery. The family will receive friends from 12:30 to 1:30 p.m. at the church before the service. Tessa Harnage, Tiffany Werner, Kristie Shelly, Rebecca Blanchard, Amber Withers, Stephanie Engie and McKenzie Swain will serve as pallbearers. 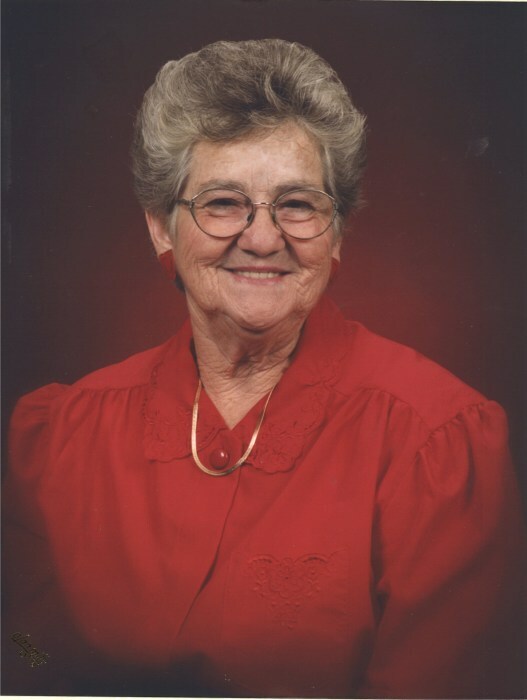 Mrs. Swain was born February 27, 1934 in Turner County to the late Tiny Mauldin and Lillar Morgan Mauldin. In addition to her parents, she was preceded in death by her son, Joe Swain and four brothers and two sisters. Mrs. Swain was a member of Bethel Baptist Church and formerly worked at the Manhattan Shirt Company and later retired from Coats and Clark. She then became a Certified Nursing Assistant. She loved her grandchildren, cooking, sewing and caring for others. Mrs. Swain is survived by four daughters and sons-in-law, Phyllis and Hugh Berry of Anderson, Indiana, Cecilia Akins of Leesburg, Theresa and Larry Williams of Ellaville, Darlene and Peanut Hall of Rebecca; one son, W. A. Swain and his fiancé, Jan of Rochelle; thirteen grandchildren; twenty-four great grandchildren and four great-great grandchildren. She was the last of her brothers and sisters.